THE intu Braehead shopping centre has organised a Christmas lights switch on that shoppers just doughnut want to miss. And it means Santa is coming early for fans of the world-famous Krispy Kreme doughnuts. The mall has teamed up with the makers of the tasty treat who will delight the first 700 people who turn up for the big event Friday, November 6th from 4.30pm with a dozen of their signature Original Glazed doughnuts. 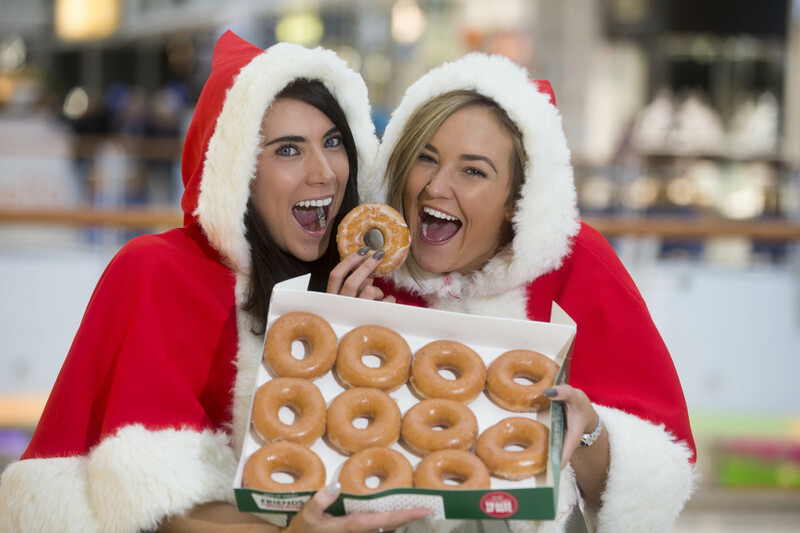 The amazing free doughnuts offer comes only days after it was announced Krispy Kreme is to open a new Hotlight store next door to intu Braehead, on Wednesday, December 2 at 7am. And as the lucky shoppers munch into their doughnuts, they can enjoy an evening of free entertainment climaxing in the Big Switch On of the mall’s dazzling Christmas lights. 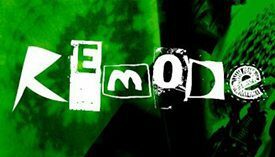 Hosted by Britain’s Got Talent star, Edward Reid, topping the bill is the hugely successful boy band 5ive, who have sold 1.5 million albums, two million singles in the UK alone and have won a host of top music awards during the band’s career. Also singing for fans will be the ever-popular X Factor finalist, Nicky McDonald along with fellow-Scots boy band, Rewind; heart-throb singer Michael Sutthakorn, from Belfast and Ryan Alexander. There will also be fun and frolics for the kids from Fun Box and stars of the Braehead Clan will also join Santa on stage. The event starts with a screening of The Snowman, on the giant TV in the central atrium at 4.30pm and the live entertainment begins at 5pm with the lights being switched on at 7pm. 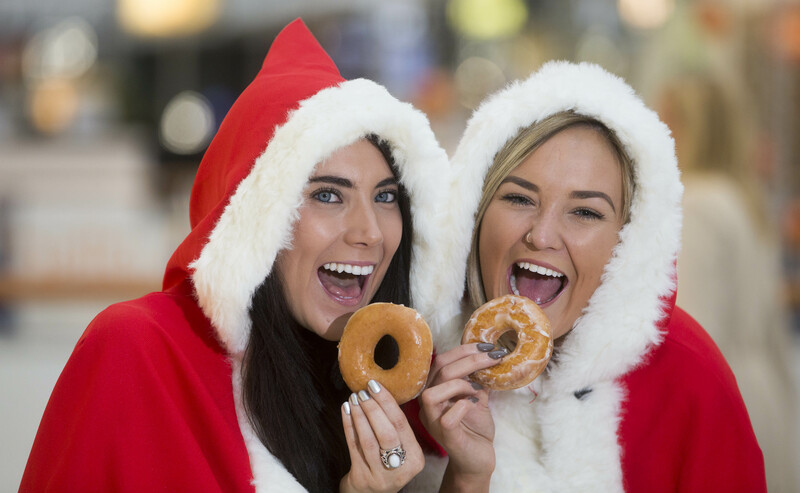 Marketing manager for intu Braehead, Christine Macdonald said: “What a fantastic way to start Christmas with our amazing offer of a dozen free doughnuts for a lucky 700 shoppers. “It’s a big Christmas thank you to all our shoppers for coming along to our Big Switch On. “We’ve a fabulous line-up of acts to entertain everyone – young and old. And the party doesn’t stop once the lights go on, as over at Soar at intu Braehead from 8pm buskers will be having a festive sing-along under a giant Christmas tree. From 2pm tomorrow (Friday) The Snowman will also be making personal appearances in Soar throughout the afternoon. Santa’s Elves will also be ready to swing open the doors of intu Braehead’s magical Santa’s Grotto on Friday morning when youngsters can meet Santa Claus and tell him what they want for Christmas.